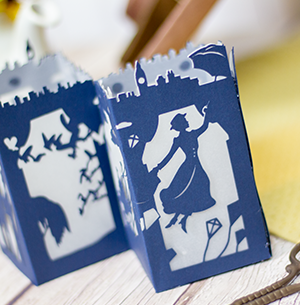 I’ve been hard at work designing a new die cut for my Disney Paper Lanterns Series, and I’m so excited to unveil it to you today! If you’re as big a Disney fan as I am, then you are probably well aware of a certain movie trailer that came out last week. 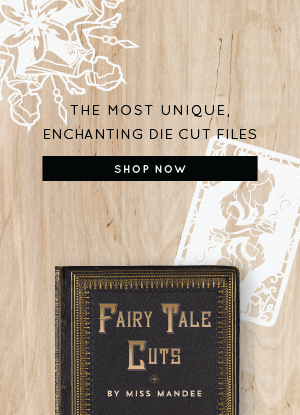 So, if you’re anxiously awaiting the new, live-action remake of this classic Disney film, I have a feeling you’re going to love today’s freebie. 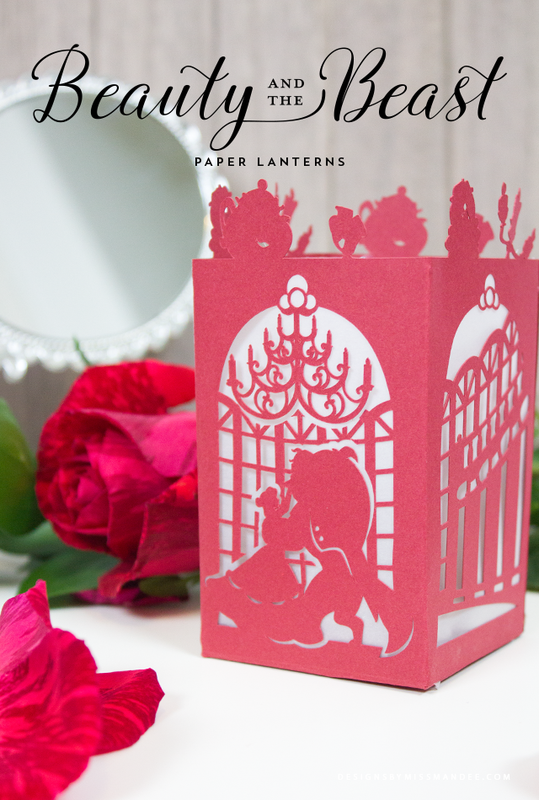 Feast your eyes on this one-of-a-kind, delicately designed, Beauty and the Beast paper lantern. I’m tellin’ you, these designs just keep getting more and more intricate! I thought I’d pretty much reached the limit in the details department with my last paper lantern design, but I think this new paper cut proves differently. I’ve had a couple requests in the past to show how I put these lanterns together, so I thought I’d give you an overview of the process this time around. 1. 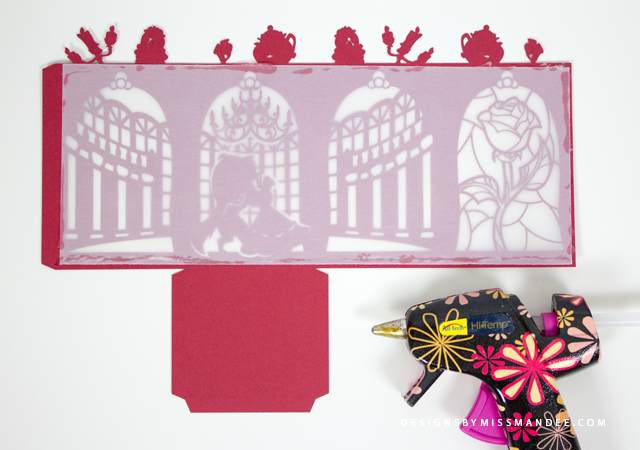 Use your cutting machine to cut out the card stock (be patient: this cut is quite intricate and takes roughly 15 minutes to complete. Maybe watch the Beauty and the Beast trailer a couple times while you wait). Cut a piece of vellum to fit across the four panels. 2. Glue your vellum to the inside of the lantern. 3. Fold each of the sides and tabs as shown. 4. Glue the tabs on the inside of the lantern to connect all the sides and bottom. 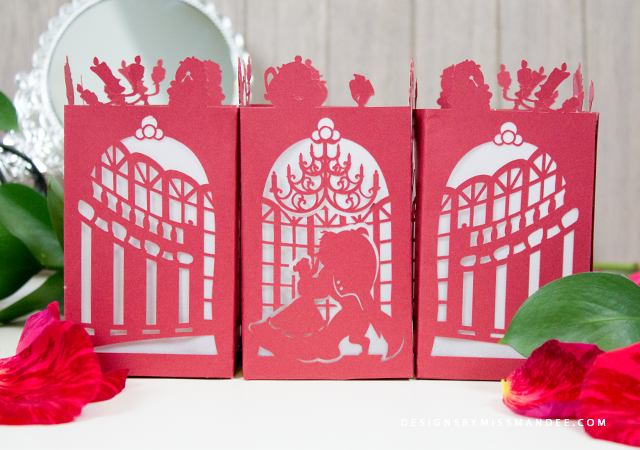 For tips on creating this delicate paper cut, see the FAQ section on my website. I really just love how this all came together! I was worried that the stain glass-style rose panel wouldn’t turn out because there are so many fine lines, but my Cricut proved to be up for the challenge! Now I love that panel so much that I’ve been wondering if I should create another large-scale, stain glass, paper cut design to go along with it. And if you’re a fan of my lantern designs, don’t worry, there are definitely more to come! I just can’t stay away from the Disney theme. 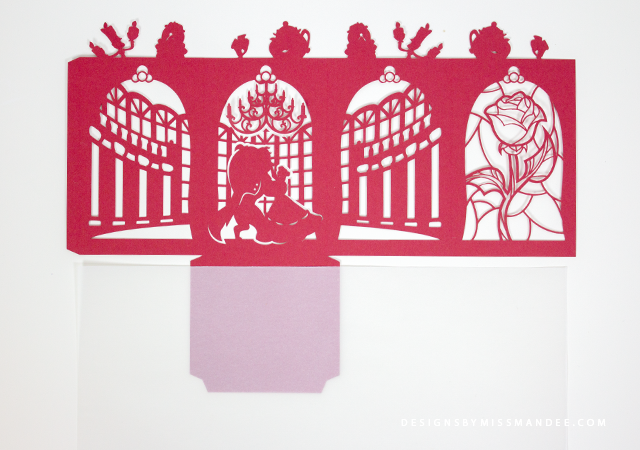 I hope you enjoy my Beauty and the Beast paper lantern design! I had been wanting to do a Beauty and the Beast version for a while, but the decision was solidified when I asked my readers what design they would prefer I do next, and this was the clear winner. So, with that said, what Disney movie do you think I should feature in my next installment? Beautiful, thank you for the gift. I cant download what do I do please? Hi Emma! Simply click the “Download” button below the first image. Feel free to check out the FAQ section of my website for more information and screenshots. I have a scan n cut 2 and can open design on my Mac but not in the scanner can u help? Hi Carla! I don’t personally have any experience with the scan n cut machines or their platform, but I did find this tutorial that might be helpful to you. Best of luck! Hi Mandee! I am also unable to get the file to download and I followed your instructions exactly. Help please. Hi. I am trying to download this but it is giving me an error message. Is there somewhere else I could down load it? This is great! Thank you so much for sharing Mandee. This is super awesome! And so are you!!! 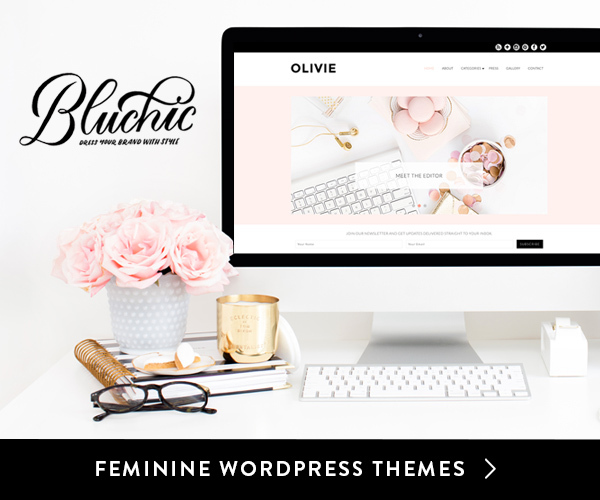 Oh my goodness….It’s even more gorgeous than I could have imagined it! Thanks so much for making this one! Thank you do much! You are amazing! 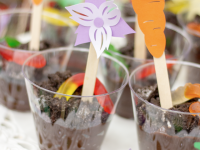 My daughter’s 4th birthday party is coming up and I’m going to make these as center pieces! I’m in love! Your comment has made me smile Lillian, so thank you for that! 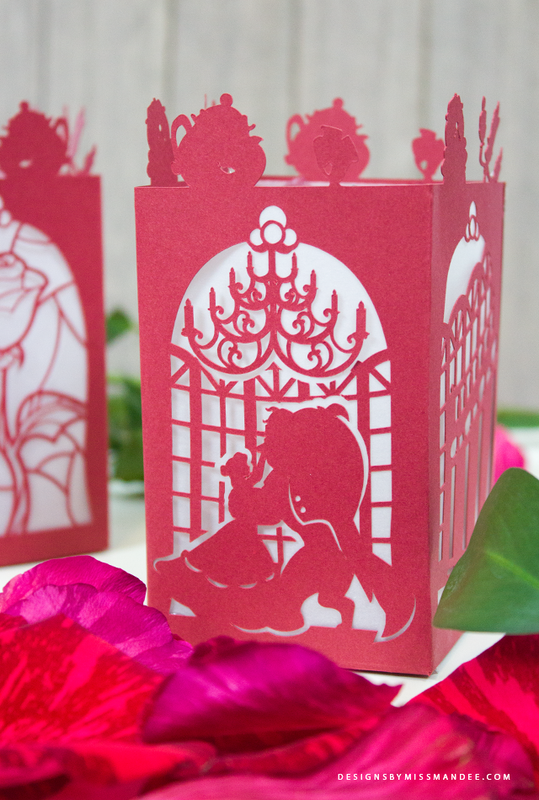 ^_^ I’m so happy to hear that your daughter likes my Beauty and the Beast lantern design. I have a couple other Disney lanterns designs in the works, but I had never thought of doing one based on Lady and the Tramp before. I think that could be really fun! These lanterns are stunning! I have got to try them out. My daughter is turning six and wants a princess party. She will LOVE this. Any others to come before beginning of January? =) Cinderella? Snow White? Frozen? =0 these are amazing. One more thing..is the svg file ready to cut the same size you have or does it need to be resized larger/smaller once I bring it into circuit? This will be one of my first projects! I just got the machine as an early christmas present and your designs are amazing. Please do tell what size your paper lanterns are. I use 8.5″x11″ card stock to make these lanterns, and the SVG file is already sized to fit those parameters. 🙂 If you do happen to use 12″x12″ paper or another size, you can scale it to fit, but it is already to go for 8.5″x11″ paper! Have fun using your awesome new toy!! Oh.My.Gosh. My Disney heart just went pitter-pat!! These are all stunning! Beauty and the Beast is my favorite Disney movie, followed by Stitch and Little Mermaid, then Tangled – so three of my top four are right here! 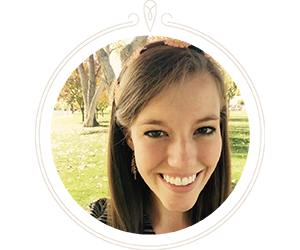 I would love to put in a vote for Lilo and Stitch… Can not wait to borrow a Cricut or Silhouette from my neighbor and get cutting. Absolutely completely L°O°VE these!!! Yay! That makes me so happy to hear. ^_^ I’m glad I could design something to bring you joy. Ooo, I’ve never thought of doing Lilo and Stitch before! Being from Hawaii originally, that would definitely be a fun one for me to do. Stay tuned! 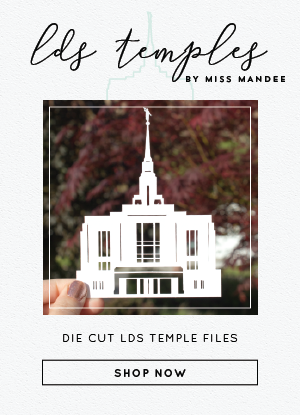 SVG files can be opened in a variety of programs, but, in order to do the cut with your Cricut, you will need to upload the file to Cricut Design Space. 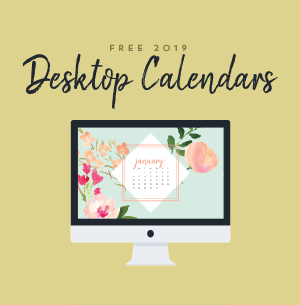 Simply open Cricut Design Space, go to New Project>Upload Images>Upload Image>Browse, and locate the file on your computer. You can then insert the file into your canvas and cut it out with your machine. You’ll need to make sure you have the lightest cut setting possible for the type of paper you are using. I usually use “Light Cardstock+” with the paper I use. I have also heard that there is a “Intricate Cut” setting that might work better. 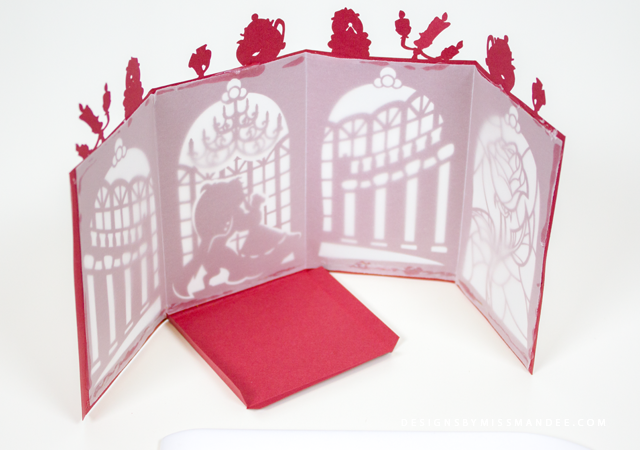 I would LOVE LOVE LOVE to see a Cinderella Paper Lantern! Maybe include glass slipper, the mice, and pumpkin. Of course Cinderella and Prince Charming. I just made the Beauty and the Beast Lantern and absolutely adore it. Thank you for creating such lovely Lanterns! I’m looking forward to many more. I’ve suggested Sleeping Beauty to include Maleficent….that would be soooo AWESOME!! I just love love love this lantern. We are doing the play Beauty and the Beast at my school next week and I always fix something special for our drama teacher. I downloaded the file, it cut only part of it and them had an error message. Do you know what I could be doing wrong? I’m pretty new at all of this. Aww, thanks for the kind words! I’m happy to hear that you like my design, and I think this will make a spectacular gift for the drama teacher!! Otherwise, I would contact Cricut support. Hope that helps! This is amazing! I love all of your Disney work! Thank you for sharing! Do you do requests? Mickey Mouse Club House would be awesome! Please contact me if there is any way to put in a personal order! Thank you Tatiana! I’m so happy that you like my designs—particularly my lanterns. 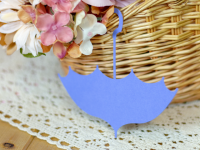 ^_^ I have had multiple requests for different paper lantern themes. I actually put out a voting form a couple weeks ago for readers to give their input. I’ve already determined my next design based off of this poll, but you are more than welcome to fill it out and possibly help choose the design I do after this upcoming one! Très jolie réalisation. Merci pour le partage de ce fichier. Thank you so much for your designs. But I have a little problem, when my cricut gets to the last panel of the lantern it stops cutting and thinks that it is finished. Have you any suggestions why this is happening? If none of those things do the trick, maybe contact their customer care. Awesomely beautiful!!! You are fantastic!! Thank you so much! And on another note, could you think about, or consider or maybe do a Nightmare Before Christmas lantern,with Jack and Sally? I am a Halloween lover, and Id love to do some lanterns for Halloween to hang at our not so scary Halloween decorations! We are doing a B&B event at work for the premiere of the live action movie. I made the original lantern but we decided it was too small so I modified the design to fit the acrylic boxes that we have. They came out beautifully. 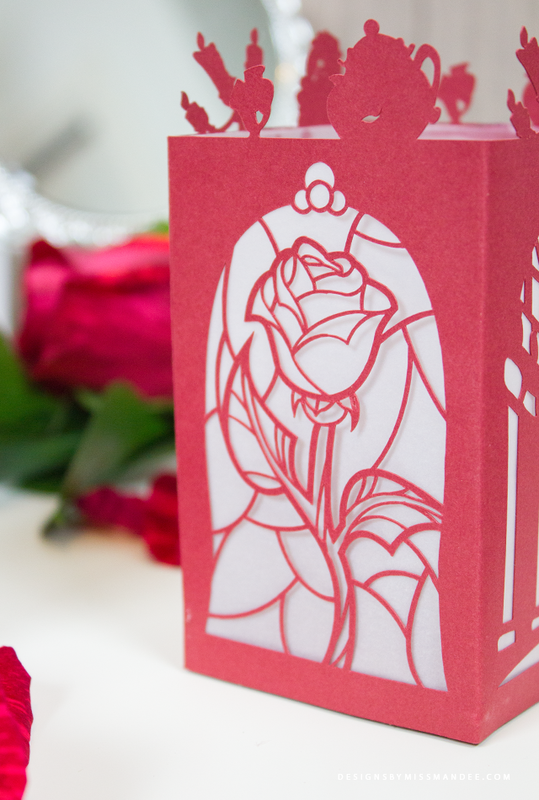 I also used the rose design to make a faux stained glass that is absolutely gorgeous. I can’t wait to try some other Disney lanterns. As for another theme, how about a Hunchback of Notre Dame? Hi, and thank you for this! 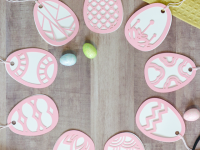 I love it…going to see new release next week for my daughter’s party and would love to make these as centerpieces….I have a Cricut expression and work in the Craft room, I don’t see a way to upload the image. Can you help? I can´t thank you enough for posting this!! Beauty and the Beast is my fav Disney Movie of all time!! You did a terrific job… wow!!! can you use a tea light with these when finished? alot of lantern I am seeing have a light inside them. hi, can you please let me know how can i purchase the licence for commercial use. Hi Mandee, I just sent you email. Thank you! I just LOVE this lantern. (and all of your other lanterns.) This is my first attempt, and so far, it’s looking good. I have one extra cut between the right window and Lumiere – I don’t see that on the pattern file. Do you know what that is or how I can take it out? Hi Mary! Thank you! I’m glad to hear that you like my paper lantern designs. I just checked out the file. Every once in a while, a stray line/anchor point will hide itself in the design, and the paper cutting machine will pick it up. If that was the case with this design, though, I couldn’t see it. Sorry I couldn’t be more help! This is awesome! My favorite Disney movie 🙂 Thanks for it! beautiful! Is it possible to have them in the .studio version? Thanks Nadia! Unfortunately no, I don’t offer the .studio version of cut files, but you should be able to use the SVG if you have the Designer edition of Silhouette Studio. 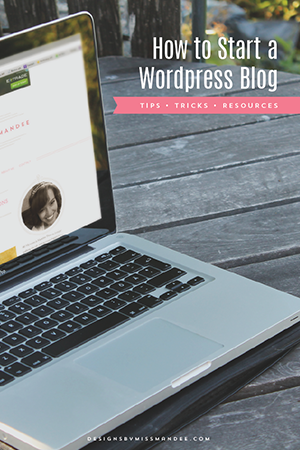 If not, here is a workaround another blogger has found if you don’t want to upgrade. Hope that helps! Hello! I absolutely LOVE this lantern!! I’m a big fan of Beauty and the Beast. It’s been my favorite movie since I was a kid. My dad actually bought my first Disney movie so it definitely brings a lot of good childhood memories! I was wondering if there was a way to get the template for it because I tried downloading the file but it didn’t let me. Is there any other way to get it? I’d appreciate it very, very much! Thanks! Also, the reason it doesn’t let me download it is because once I click on it, a new window pops up and then the following message comes up “We’re sorry. You can’t access this item because it is in violation of our Terms of Service.” I’m super bummed! ???????????? Hope that works for you! Let me know if it doesn’t. thank you very much this beautiful will be that I can cut it in the scanhot of bhother? Your stuff is amazing!!! What software do you use to make them? I’m an engineer who just got a cricut and I’m so excited to see what I can do with it! I actually have a YouTube channel where I create tutorials, and even some specifically for cut file designs if your interested. I absolutely love the lantern designs! 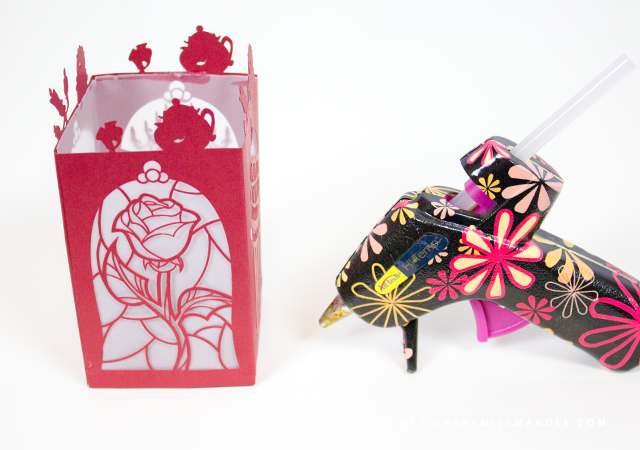 I am having a hard time downloading this beauty and the beast lantern however. When I try to open the download it says I need to download a new program in order to open it. I’m glad you like my lanterns! Are you downloading it to a tablet or mobile device? If so, you will need an app in order to unzip the file. Otherwise, feel free to check out this articleto troubleshoot your issue. Can I use Tissue Paper instead of Vellum? Hello Friend! 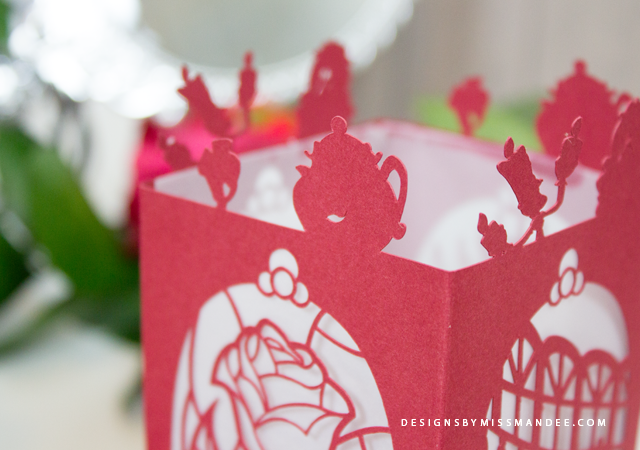 I would like to start in this world and be able to make these wonderful paper lanterns, I love Disney! my question is, which cutting machine I need concretely and how can I learn from it, I start from 0 because I have no idea and nobody can help me, thanks from my heart! Hi Noelia! I’m glad you like my paper lantern designs. 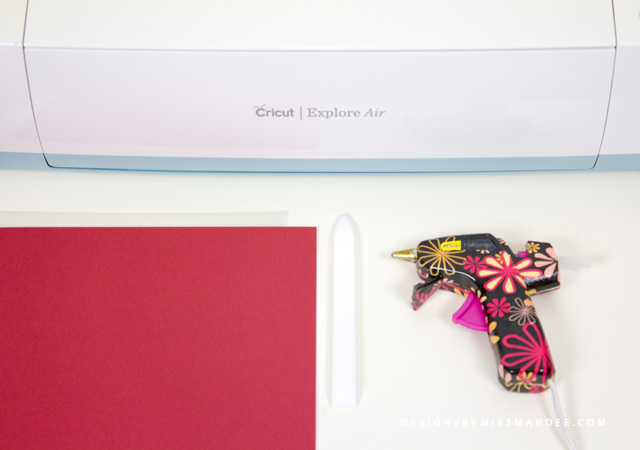 I personally use a Cricut Explore Air machine to do all of my cuts, and I love it! I would highly recommend it! A lot of my followers also use Silhouette machines. I’ve had a few people tell me that they use the Brother Scan ‘n Cut machine, but I don’t know very much about that machine or it’s software. wow! just wow! what a beautiful files you have created! I’m gonna make the Beauty and the Beast light for my sister in law, she would love it! (just as much as I do). Really beautiful! I love all your designs. I am able to download and cut them fine but have trouble filing even with a bone knife. 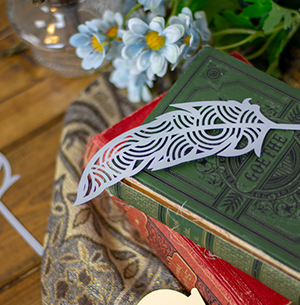 Do you have any of the designs with the scoring set so I could use the scoring blade on the Cricut? Glad to hear that you like my designs! 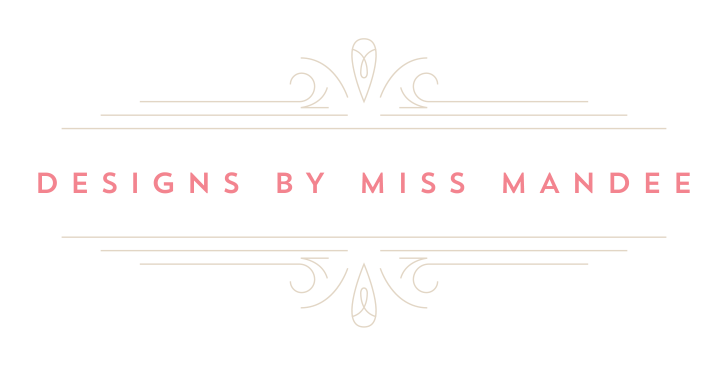 Sorry, I don’t include scoring marks in my files because they only work for Cricut and it requires a couple of extra steps that users have to do in Design Space. So, up to this point, I’ve always decided against it because I know I would end up spending too much time trying to help people troubleshoot. These are AMAZING! You have such great talent, and thank you for sharing them with us! My daughters’ are in LOVE with your Moana lantern. I can’t get over your Beauty and the Beast. Thank you! 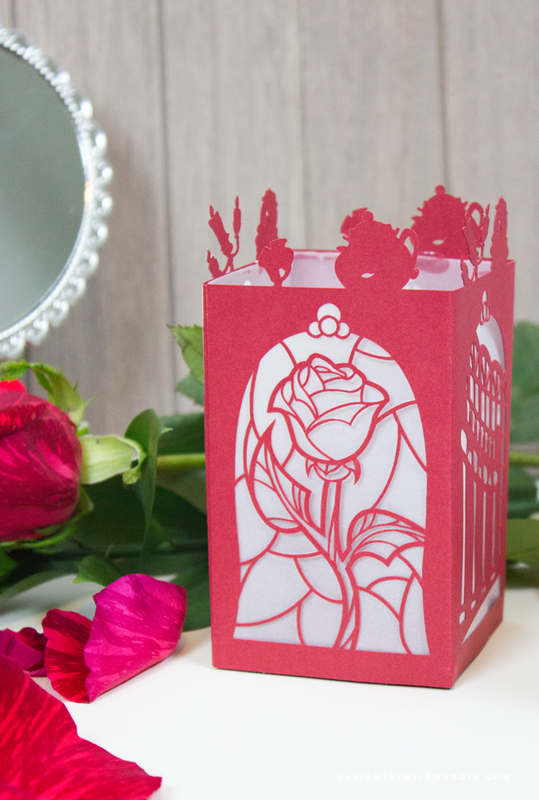 I really love the rose panel of this lantern and I think it would be wonderful to have an entire lantern like it! Beautifl project! Thanks so much for sharing!